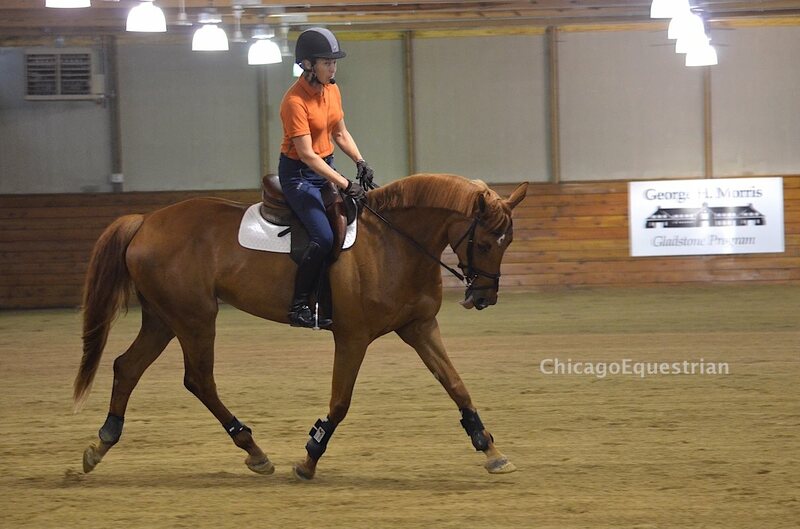 Last month I attended the George Morris Gladstone Clinic in Chicago. Diane Carney invited me again to demonstrate flat work. George's lessons and honesty are refreshing, always. Jen Alfano taught the participants about stable management. 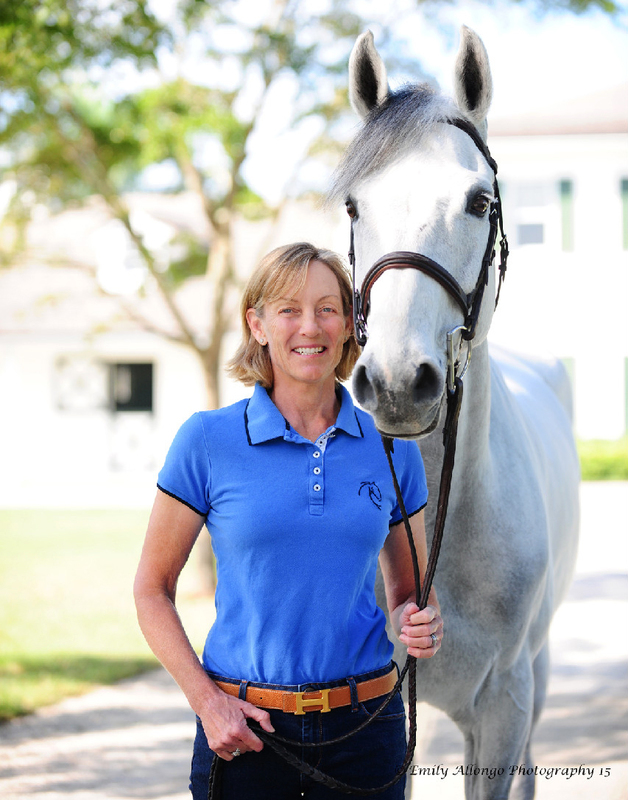 Dr. Deb Bennett gave an interesting talk on horses' anatomy. My demonstration was fun especially because I got to ride an old friend, Creata Van Ten Biessen. She was always very special and was in my stable for several years. She was a pleasure to ride again. I shared what I think are important exercises and concepts for riding, following up on George's lessons. These riders are very fortunate to be able to attend this kind of educational clinic. 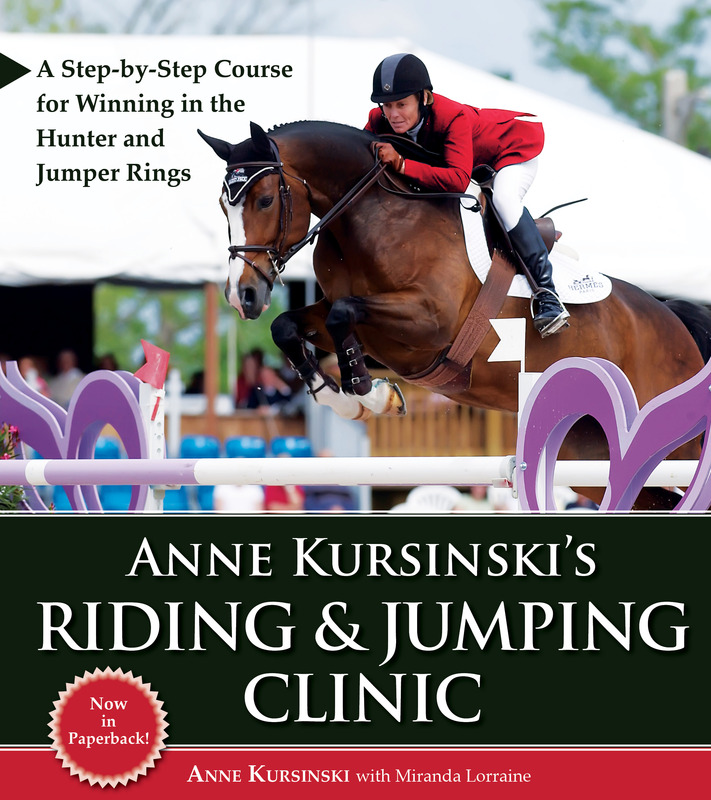 It is a wonderful introduction into the whole program of becoming a great horseman. It's not just the riding and finding the distance. It's the management and care of your horses! Last month my students and I had great results at HITS Saugerties and Lake Placid. For results, videos and photos visit my blog at www.annekursinski.com/blog. I'm always proud of my students when they are learning and improving. Contradictory though it may sound, bending your horse is a major tool for keeping him straight. The contradiction becomes easier to understand when you stop to think that, for a horse, "straight" means having the hind feet track directly behind the front feet - through a turn or around a circle as well as down a straight line. To be straight, he has to bend - not just turn his head and neck to the side, but arc his whole body, head to tail. And doing that requires seat and leg aids, not just hands. 1. On the long side of your arena, in the walk, use just your hand to bend his head and neck to the inside for a few steps. 2. Then straighten him and bend him to the outside. Although his head and neck curve to one side and then the other, the rest of his body stays straight. Bending successfully requires you to send your horse from your inside leg to your outside rein. You've probably heard instructors use that expression many times, but up to now you may not have understood its meaning. Here's why it's so important: when you have your horse going from your inside leg to your outside rein, your inside leg is at the girth, asking him to bend in his ribs by pushing his rib cage to the outside of the track. As he shifts his weight out a little, he should naturally bend his head and neck slightly to the inside, in the direction of the pressure (the way you look around when somebody taps you on the shoulder). At the same time, he becomes more active with his inside hind leg, stepping deeper under his body to balance himself better. That results in his carrying more of his weight over his hindquarters, where his "engine" is. When a horse bends around inside-leg pressure, he puts a slight head-to-tail curve in his body, with the curve in his neck "filling out" the outside rein. As well as bringing his inside hind leg deeper under his body to balance himself, he also takes a contact on the outside rein, lightens up on the inside rein, and frees his inside shoulder. Taking that contact on the outside rein is important - because it makes your horse "'straight," or, more precisely, it makes him conform to the track. All horses naturally favor one side (Just as most people are left- or right-handed) and tend to be crooked, in most cases to travel with their haunches to the inside and their shoulders to the outside (a position in which it's impossible to perform athletically, smoothly, elastically, and quickly). But if your horse is bent around your leg, your outside rein against his neck keeps his shoulders from falling out, and your inside leg tells him to keep his haunches under him so that they track directly behind the forelegs, not to the inside of them. 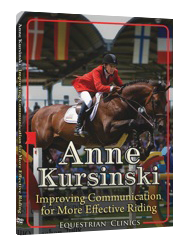 Develop your horse's responsiveness to the inside leg in both directions. Most horses, like most people, are naturally more supple in one direction than the other; to make him as capable a performer as possible, you want him equally supple in both. Watch Anne teach Taylor and JJ the automatic release and opening rein in this video. If you are already a Riding and Jumping Mentor, thank you. I hope it is helping you and your horse!